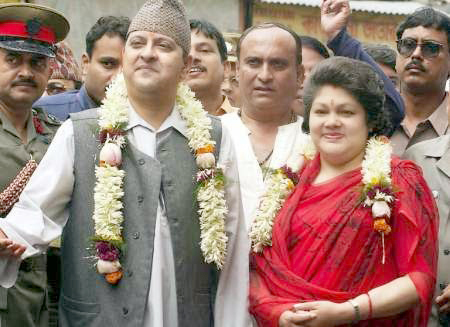 Former King Gyanendra and former Queen Komal are scheduled to fly for Nepalgunj today. According to a press note issued by former King’s Press Secretariat, the former Royal couple is scheduled to visit Mid-Western and Far-Western regions of the country. It is learnt that the former King is scheduled to inaugurate newly built luxury hotel in Nepalgunj. Hotel Soaltee Ltd has constructed the hotel there.